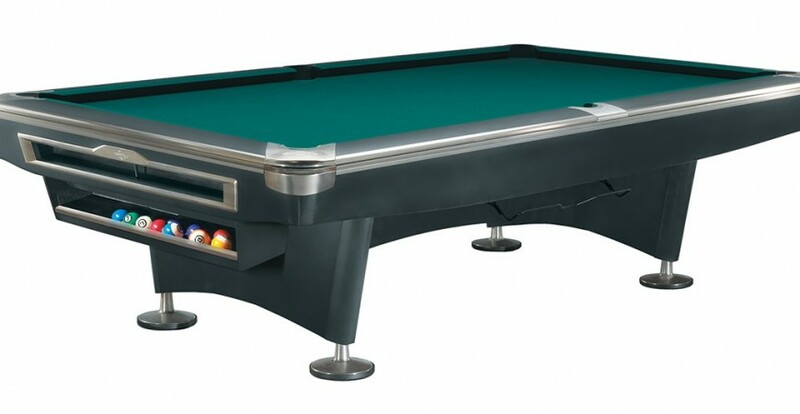 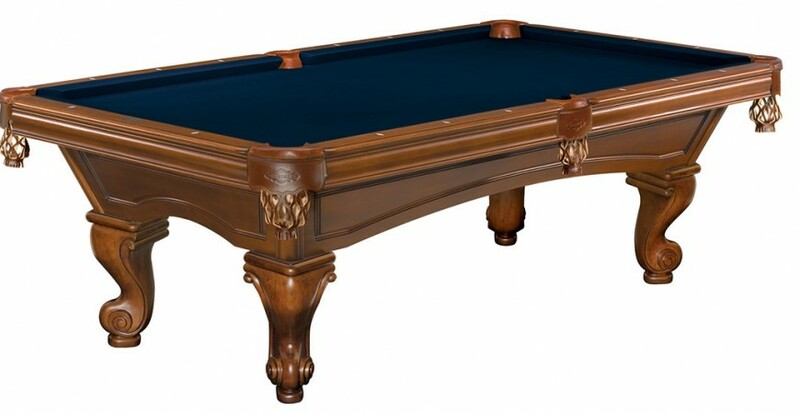 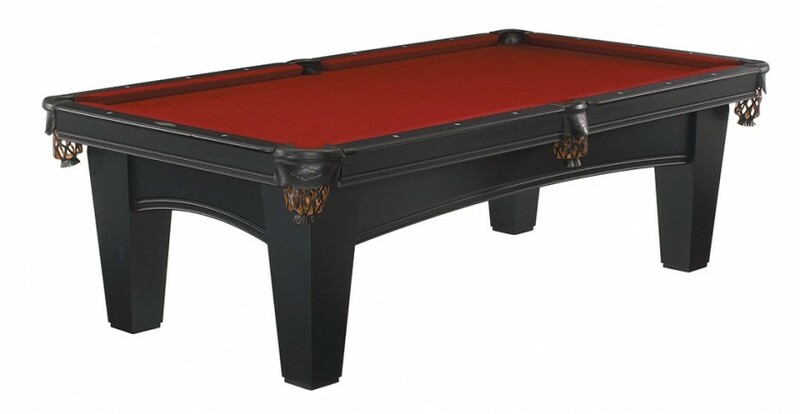 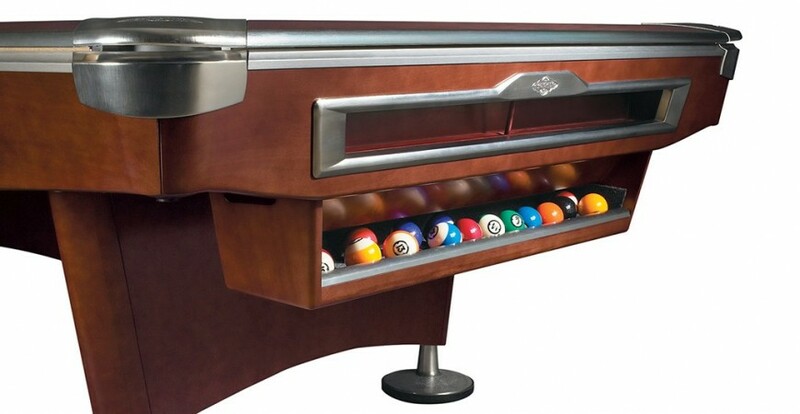 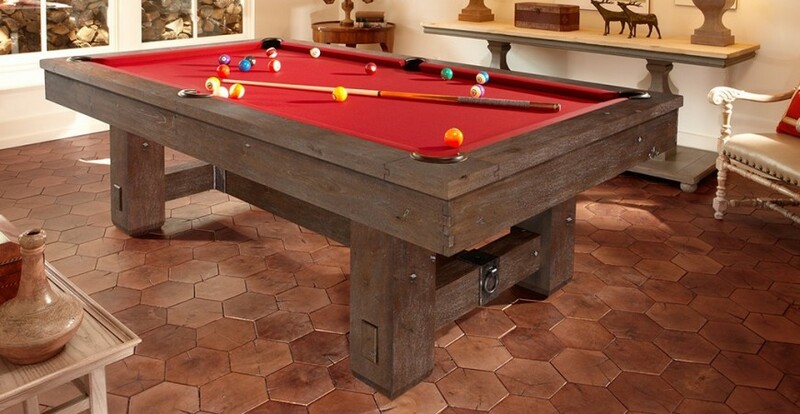 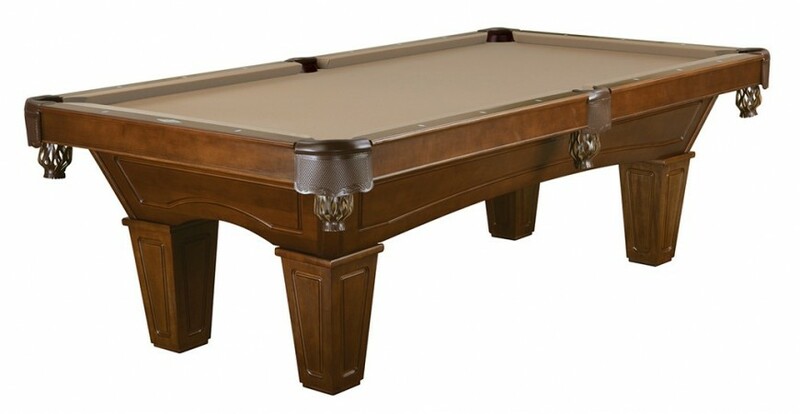 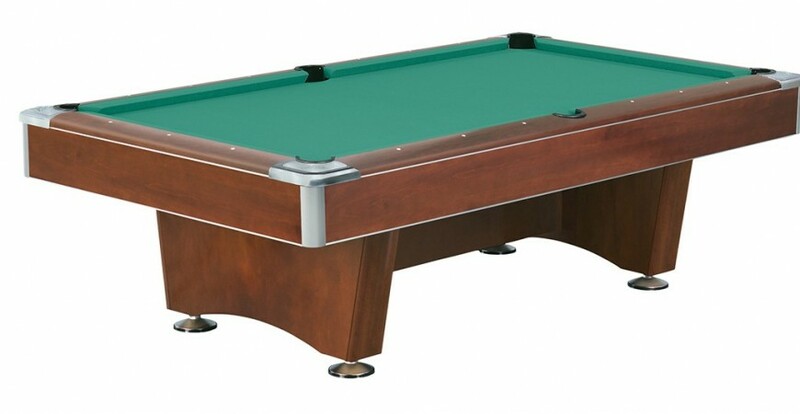 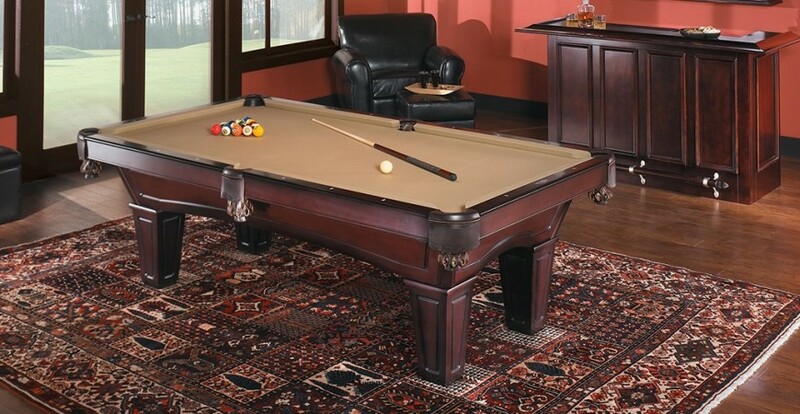 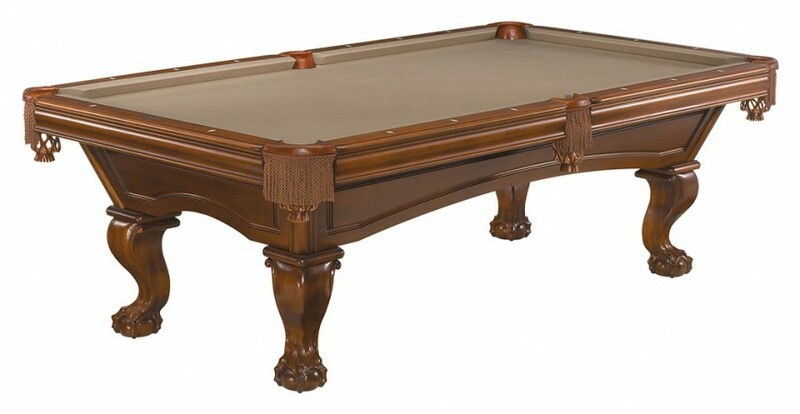 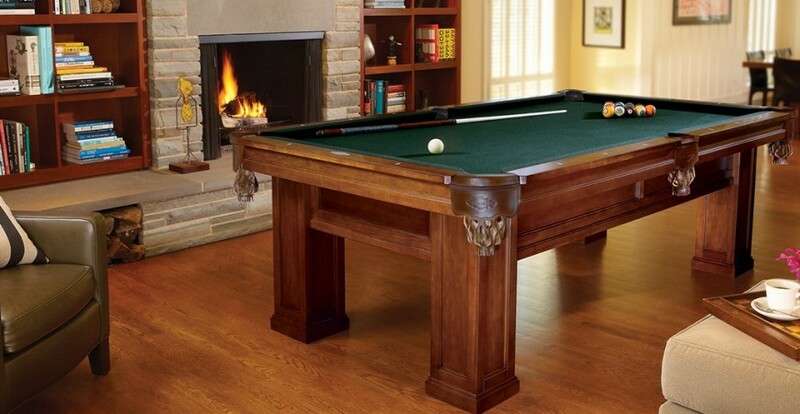 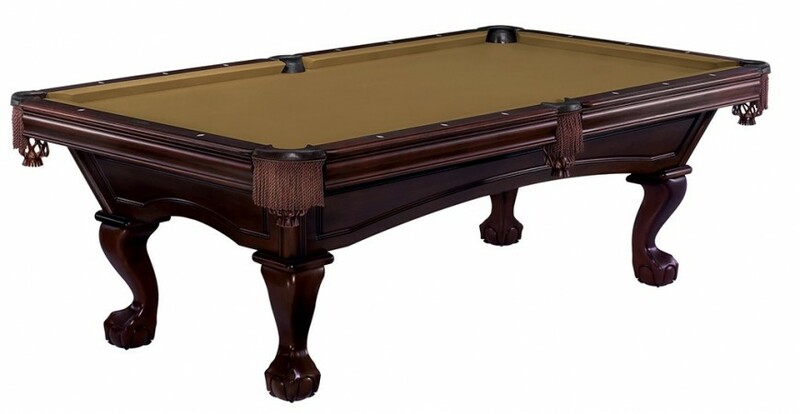 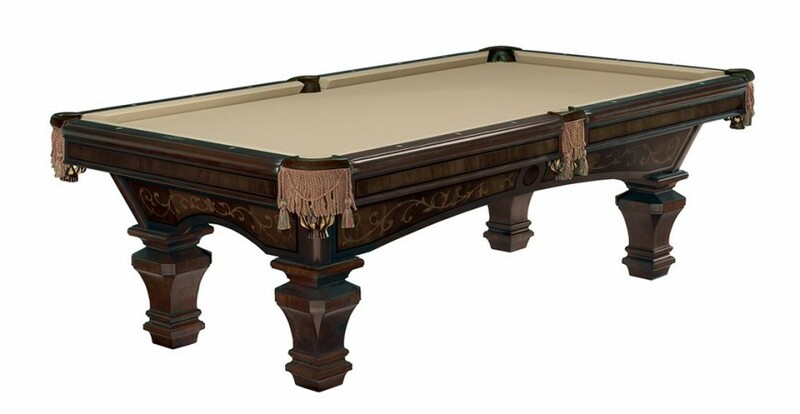 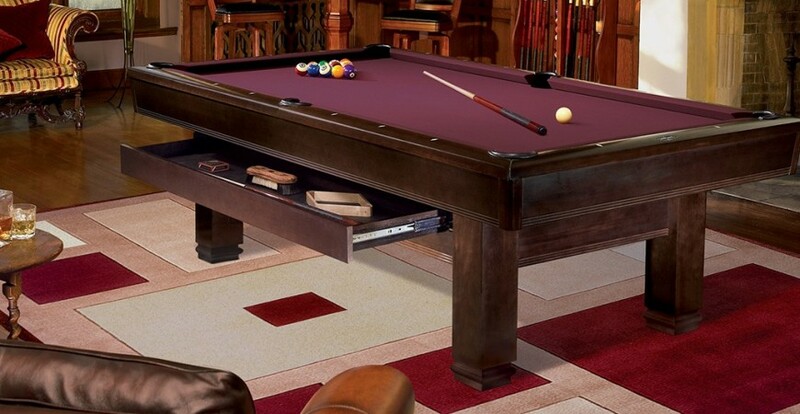 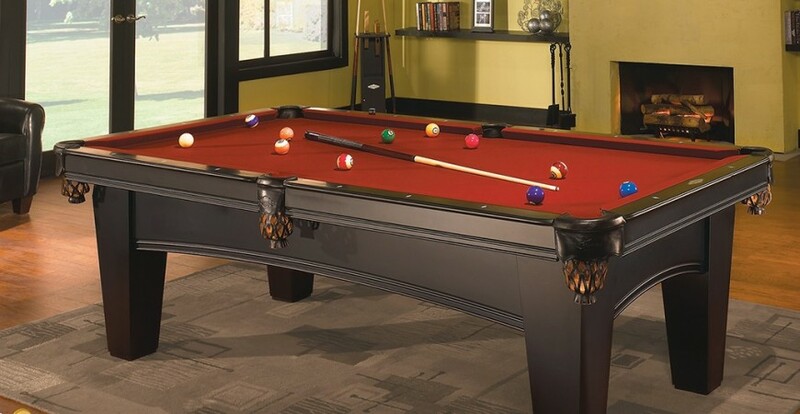 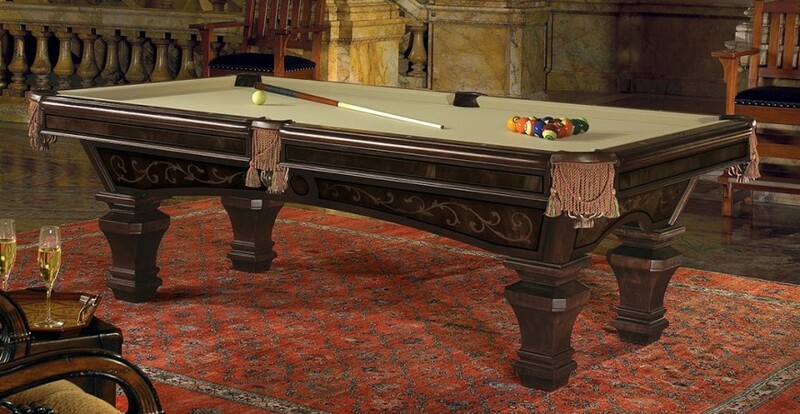 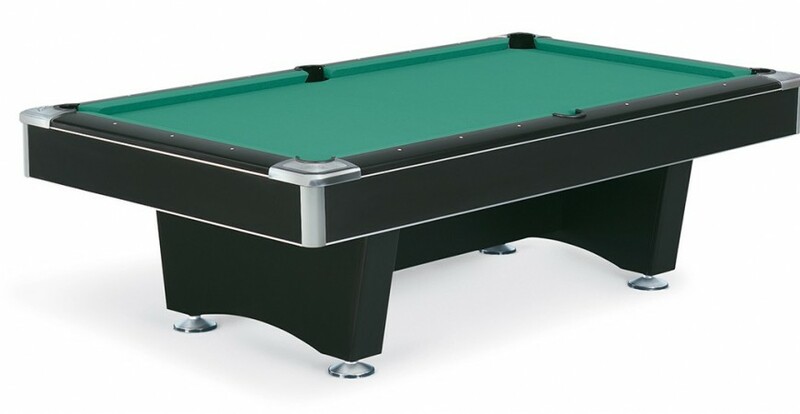 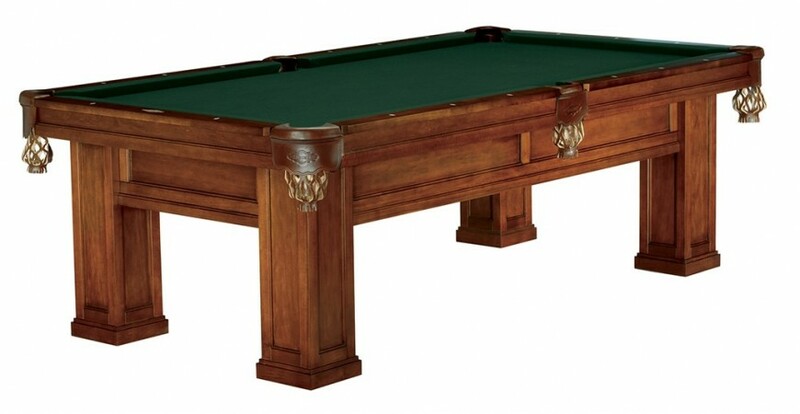 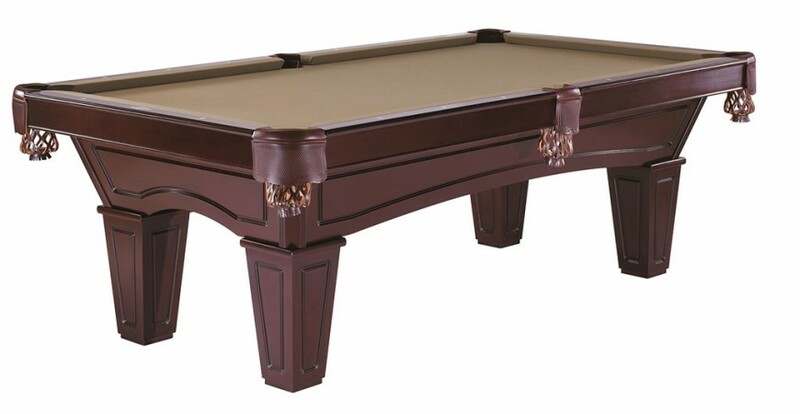 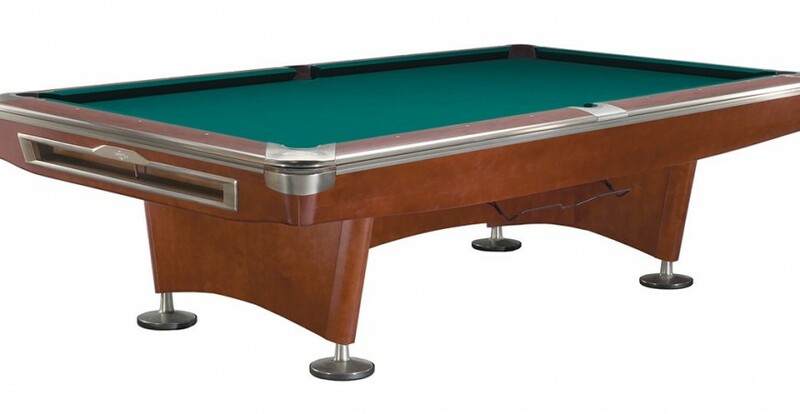 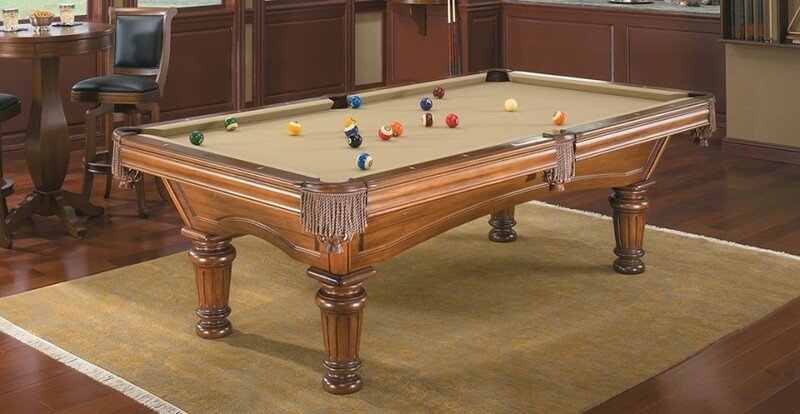 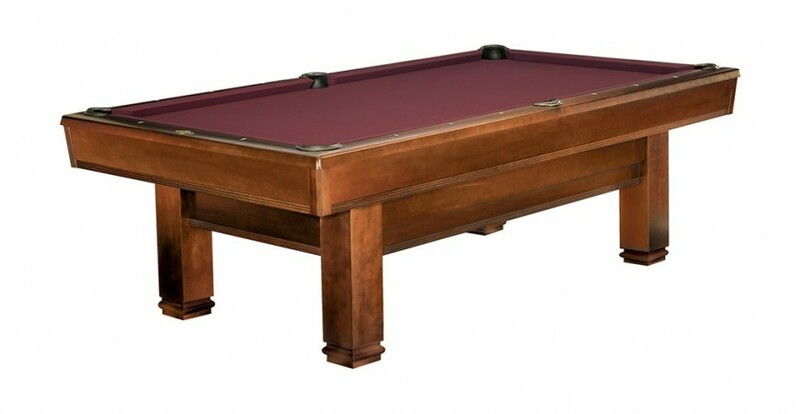 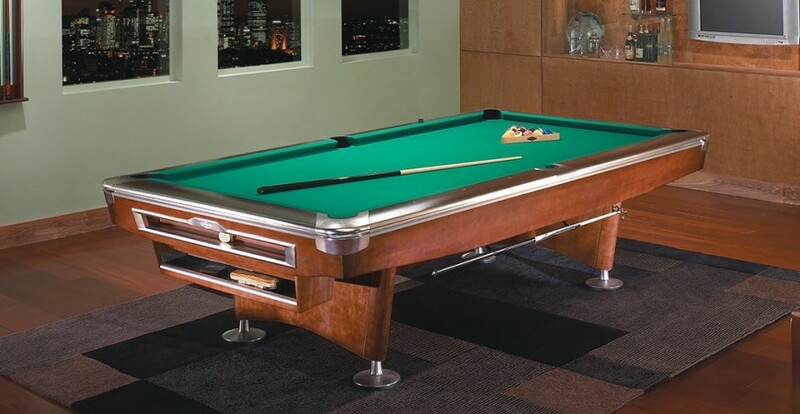 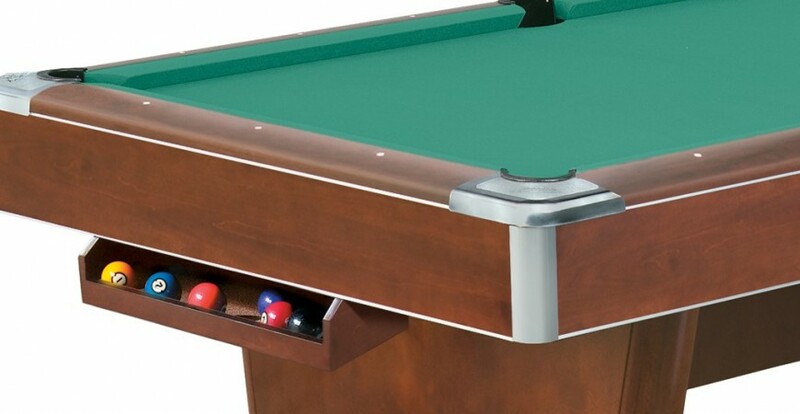 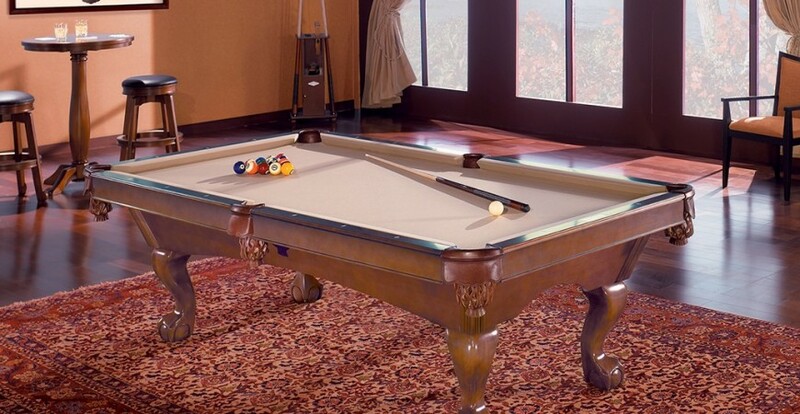 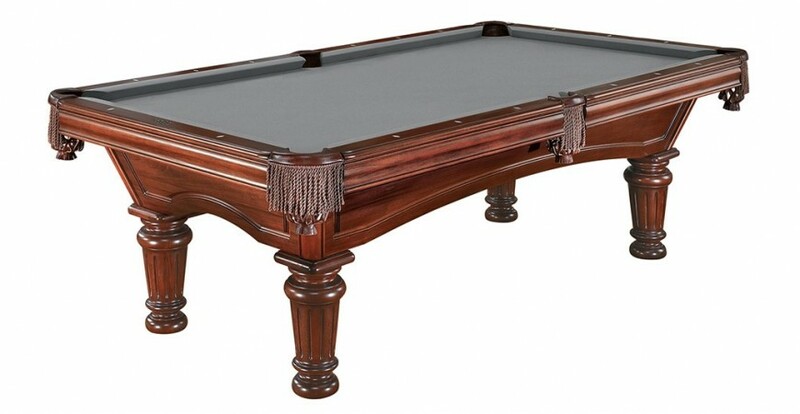 No compromises necessary when you choose the Bayfield table for your home billiard room. 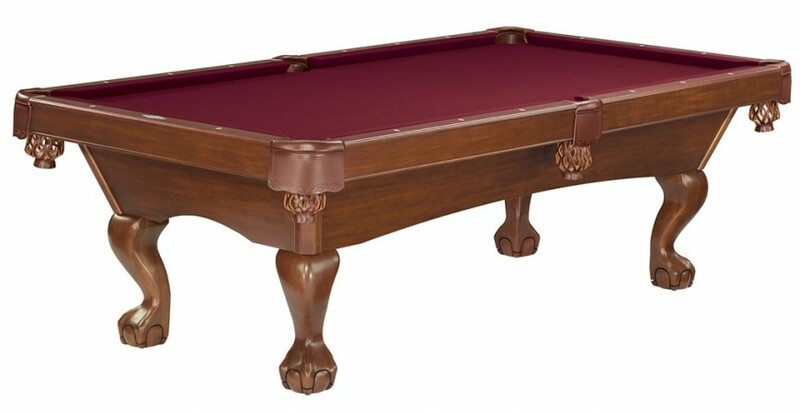 All the quality and details are there: wide, solid wood rails; leather shield pockets; and pearlized diamond-shaped rail sights. 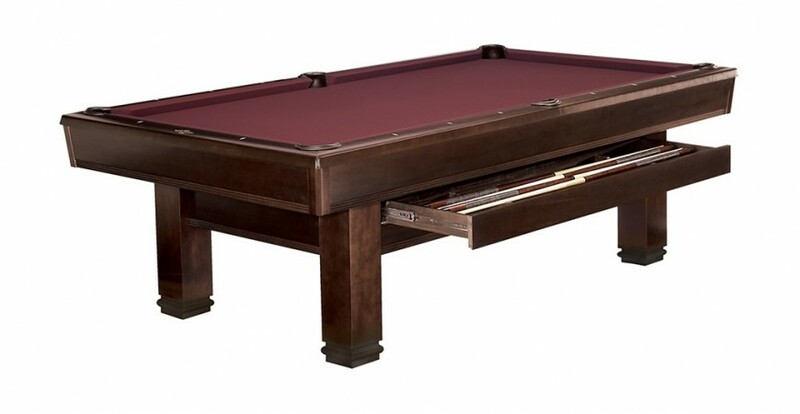 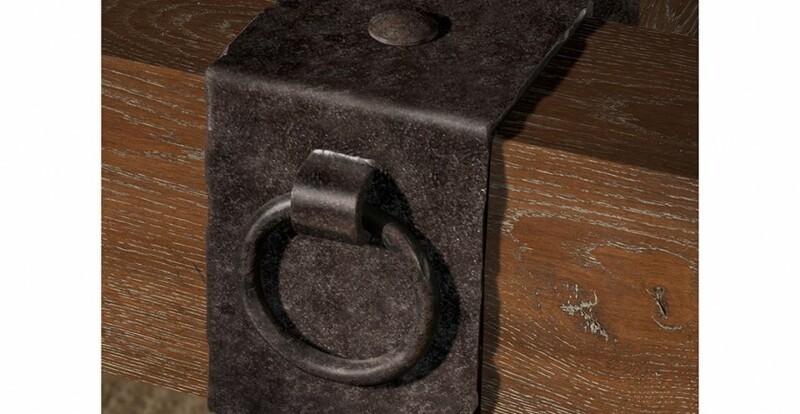 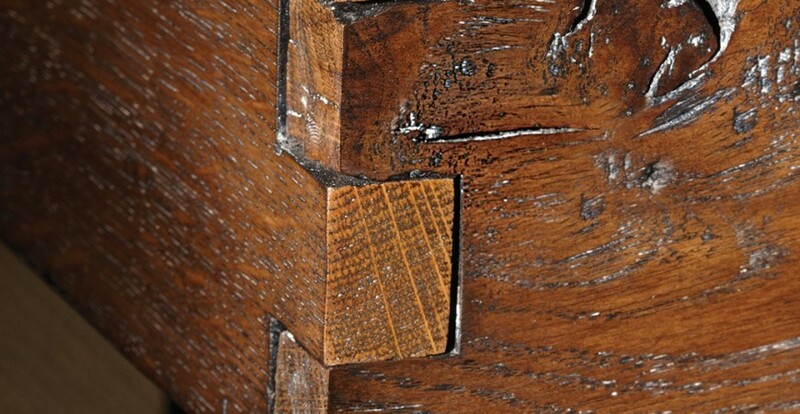 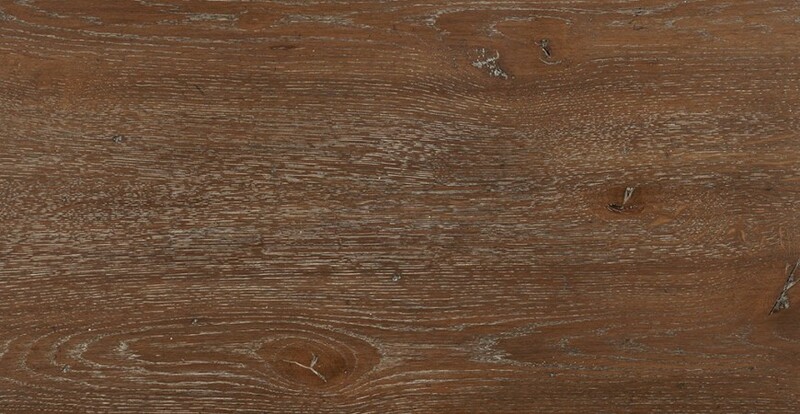 Baseframe, aprons, and tapered legs are built for durability with a matte black or chestnut veneer.